Spanish solutions - Legal and Tax Services on the Costa Blanca"
Never nice getting a bill for a sold car! Posted January 30th, 2019 and filed under Medical Care in Spain. With all the uncertainty surrounding medical care after Brexit in particular and with the concerns of expats living here, it nice to know that there is an easy way to be covered in Spain. If you have a work contract here in Spain, and pass the various requirements, you are covered. What about retired people and those who live here who do not work however? Great news- you can get full health care here from the Spanish government. Of course we advise you to talk to us in person where we can give you more details. (please arrange an appointment to come visit us in La Zenia- its always better if you make an appointment in advance thanks). This scheme promoted by the health board in Spain is aimed at non-Spaniards who have no medical cover in Spain. We have clients who are cancelling their private health insurance and switching over to this scheme too. Its simple to get covered. Come in and see Gema, she will help you with the paperwork for a small fee. If you are under 65 you pay a monthly quote of 60 euro, if you are over 65, you pay 157 and that is it- you are covered! You can use the medical centres, (Cabo Roig is very popular this time of year with coughs and sneezes). 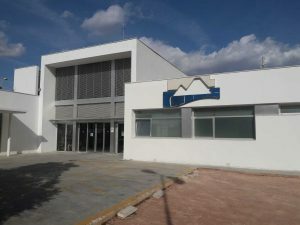 Torrevieja hospital, or should I say the multi award winning Torrevieja hospital, is also included- all public hospitals are. Naturally, terms and conditions apply, for example this is not for a tummy tuck or anything not covered by the normal public health system. You need to be living in the Valencia Region of Spain for one year prior to taking the insurance and as you´d expect you need a medical in advance and you need to talk to the doctors about any pre-existing conditions. Or contact us directly for assistance today! Applying for residency in Spain (A couple with EU and non EU nationality). Case Study – Can an Usufruct Be Challenged? CASE STUDY – Can you have a penknife on your person or in your car? What is Spanish Solutions Role When Purchasing a Property in Spain? Have you ever had a water leak at your property in Orihuela Costa?